Every once in awhile I keep getting this little feeling in the back of my head like I forgot something…yeah, well maybe that sort of feeling was right and should’ve reminded me more than ever once in awhile despite whatever troubles I still have to be concerned about xD. Ladies, gentleman, err, and whatever you are in the crowd over there since I can’t tell, thank you for putting up with me for the last period of time! I had some personal adventures to deal with…ahem, digging deep into the boughs of the earth to discover a rare mineral that would one day secretly save humanity…no xD. Some mom this was! As the creators stated, the queen didn’t even know of her child’s missing state. Hey, my son too is reliving Jaws on a deserted island whilst I wait around with my purse doing nothing! 😀 What a great mother. Katya’s mom sure had some common sense. But according to the story, did the person ever listen? Nopa. Obey your parents, kids. You won’t earn 200k a year flipping burgers as a runaway xD. Who forgot about Greg and his silly adventures? I read in a Chinese translation by an editor that claimed even the boy in the series was more clever and funnier than his parents. Unfortunately, his adventures were often ruined by his mom. At least that was the funny part. Oh, mom, if you’re reading this: sorry I didn’t get those chocolates the day before xD. Hey, everyone! RD here again! Never felt like picking up a book? Ever down in the blue and always bored? Perhaps you’ve bought everything on the Poptropica Store and you’ve beat everyone in games. Well then, fear not! In case you’ve forgotten, the creators sent us a kind reminder and a grand homage to all things possible. There are multiple books on Poptropica. 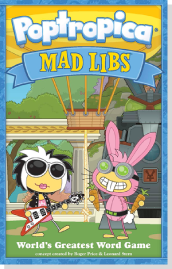 Heck, there’s Mad Libs, a guide to Poptropica, and even books for islands that give you clues or hints. Okay, so maybe you’re no Kafka or Hawthorne. Maybe you don’t like reading long or mundane works that ramble on and on about some life moral. That’s okay! These books are filled with fun dialogue, colorful pictures, and even funny situations, such as in the Mad Libs. Whether you want a guide to Skullduggery Island, or you want just a fun Mad Libs to work on while bored over break, be sure to check out Poptropica books. Eek! Zombies! To be correct: Zomberries. You’ll find the new Zomberry Island guide quite helpful in your journey to cure the island of its infestation. Need help? Stuck on that final boss/part? Fear not! The Guide is here! You can download this onto either your iOS or Android device. Or, save yourself the effort and just go right on over to the PHB’s Zomberry Island Guide. Hello, everybody! It’s Rainbow Dash here again. I’m sorry I haven’t gotten to posting more often recently since you all know when, but I’m much better and more open to posting now. Even though I’ve been through some big changes, I can still post more often now :). Today there’s a new sneak peek for the 32nd island for all of you who want to have the plot all kept secret. Obviously indicating in past posts and the name itself, the berries have something to do with turning the poor citizens into the dead. You’ve all heard the term, “you are what you eat.” But what if you’re in the midst of an outbreak as big as this? Check out the new creators post that details some investigations you’ll be doing. Perhaps one of these foods was responsible for the initial outbreak? Perhaps all of them? Or perhaps there’s something more dark and weird to this tale. You’ll have to go through a titled “Process of Elimination” to find out what was responsible for this sort of transmutation. It seems in this picture you’ll be examining the citizens and look at whatever they had ate before in a chart. Was it the strawberries, cranberries, bananas that were contaminated? And more importantly, where did the so called foods come from? Find out on Thursday! 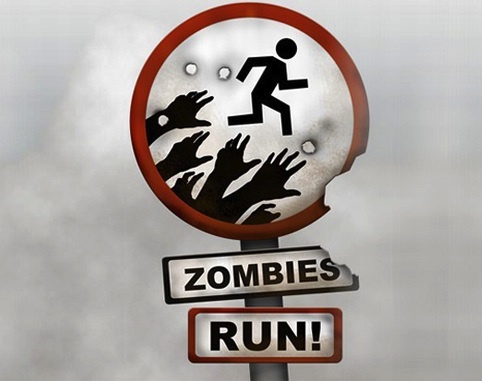 Have fun running with zombies, guys :D.
Remember, if a hoard starts chasing you, just say to your buddy: “I don’t have to outrun the hoard. I just have to outrun you” xD. The 31st is finally here! That’s right, the long tradition of the Celtic Holiday Sahmain spread down throughout European history until it reached modern day traditions. It’s a shortened version of “All Hallows Eve”; but I’m sure you’re all out of history class by now, so onto Poptropica’s Halloween scares! Edit (slantedfish): Check out the Creators’ avatars on their blog! A purple background and green skin – great zombie costumes, guys. I did catch Hades and Master Mime with just their normal ones instead, though. :c Even Thirsty Whale, who never posts anymore, managed to join in. Inside this adventure, you’ll be taken through the world of Peanuts and as we also all know…Snoopy! 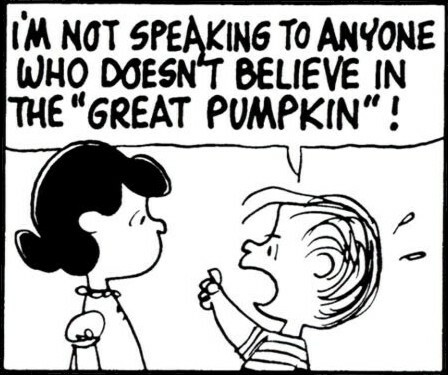 So head on down to Great Pumpkin Island for a few classic old games with the Peanuts gang. Click here if you need a guide. Who could forget Ghost Story Island? The thrills and chills of an old New England haunting surely will kindle the spooky thoughts that arises in the player’s daring mind. Will you be brave enough to uncover the mystery of this island and set the wandering apparitions free? Enter if you dare! Click here if you need a guide. Want to donate blood…to vampires? You got it, just make sure to bring some garlic along with you in case they try to take too much xD. Vampire’s Curse Island is based on the protagonist’s efforts to bravely save a villager captured by the elusive count! And remember to not get hexed by its curse. Click here if you need a guide. Finally, who could forget the very first Halloween adventure that we all embarked upon? Enter an old and abandoned house to find out what spooky atmospheres you must uncover to discover clues. The Haunted House is a destination for a description of such. Eventually everything leads up to an untimely discovery somewhere near the mansion. That is all, since I know everyone despises a spoiler alert. Although it is technically not an island like the rest, Haunted House remains the first Halloween adventure back in time when Poptropica was still expanding and growing to the virtual realm it inhabits today! Click here if you need a guide. Poptropica sure has grown over the years, and will continue to. All these islands are completely free, even the Haunted House as it became so some time ago. Members may choose to venture out on an extra quest for some of these islands if they want an extra challenge and extension to the ghostly plot. Have fun at these islands! Lastly, the creators gave us a reminder we can all purchase a variety of Halloween costumes and abilities in the store. Maybe you want to have a ghost follower as they did come out with many years ago. Or maybe you just wish to see all your neighboring friends turn to bones. Perhaps you have a craving to play an island where you’re chased by the living dead through some abandoned street corner. They got it all :D.
A stroll down Halloweens past! Hey guys, it’s Rainbow Dash here, and I’m sorry I haven’t gotten a chance to post very often lately. I am feeling much better, thanks to those of you who emailed me and such :). Lately I’ve been going in and out of places, and busy with some high school stuff if I get a chance to go to school for prolonged stretches of time; but enough about me. The creators gave us a short and sweet reminder that Halloween’s getting pretty close, and I’m sure they’ve given us much already. It’s scare season, again! What better way to celebrate Halloween than by visiting the first Halloween based adventure that the creators unveiled… Haunted House! This short quest will lead you through many puzzles and item hunts in order to solve the mystery of the old and worn down house. Trust me, there’s a really cool ending to it to match the spirit of Halloween. 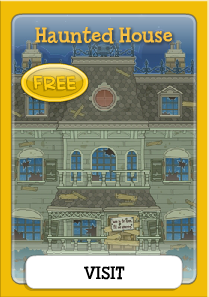 Pick up Haunted House at the Poptropica Store today! You can enjoy old times again, or try it out for the first time if you haven’t played it before. So if you’re brave enough, go in and find out the truth. I promise you won’t be disappointed. If you need help, the Island Help page lists a guide, video, and info page for the Haunted House. I know I’m certainly in the mood for Halloween :D. So what gets you in the mood for the season? I remember getting about a truckload of candy…then losing it to my pets a day later…did you know that the holiday was originally Hallow’s Eve? Western traditions were inspired by American and Medieval folklore such as Irvington’s The Legend of Sleepy Hollow, a book I’m currently reading. I guess you could say my favorite part about it would have to be “teenage witches” xD. Share your thoughts below. RD out, have a nice day. I see a man in the moon? Where did that saying come from? Who knows? But I’m sure it means somewhere along the lines of “an imaginary figure resembling the counterpart of a man’s face.” Sounds confusing, but if taken literally… that’s where the new sneak peek comes in on the Creators’ Blog today. There’s some sort of moon rover mean to traverse these rocky environments. And in the bottom left there’s a meter. My guess is that it’s either the speed or fuel, though PHB reader Fuzzy-B points out that it looks like the EMF Detector from Ghost Story Island. In the top right we see a grid, possibly serving as a navigation tool. So my guess this links with the upcoming Lunar Colony. I guess now we know the moon may play a key role in all this. Well, I hope everyone else is enjoying the week with the Olympics and all. 🙂 I also started watching Sabrina, which is a small note to explain my avatar change. I know, I know. It may be meant for “smaller” children and naive at times, but don’t judge just because I like cartoons. xD I mean, it’s pretty fun sometimes. Thanks, and enjoy the games, everyone! Director D sure has a pick, huh? For those of you who haven’t yet taken the quest on this island, the main goal and plot is to hunt down exotic creatures, find evidence for their existences (such as the loch ness monster), and of course foil the plot of evildoers along the way. You can play Cryptids Island simply by visiting it on the map. Although this island has been out for over a year, it’s still quite an adventure. Nice pick, director. Honestly, though, I’d thought you’d choose Spy Island. Further more Director D also points out his fascination over the Legendary Swords adventure! You can now pick up this gold card for free, non-member and member alike, in the poptropica store. Have fun chopping the heads of evil robots off. My prayers and thoughts are with all those in this tragedy.